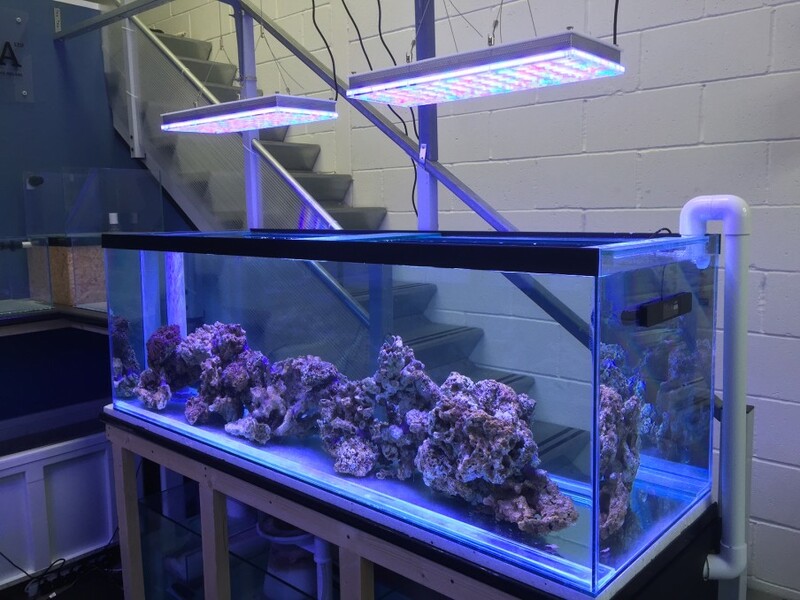 Blue Tang Marine is one our newest retail shops in the UK that is an authorized Orphek dealer. The shop recently opened and Ross tells us livestock will be arriving soon. His display tank shown below is lit with two Atlantik V2.1B’s and will house his nine year old Blue Tang. Now we know how Blue Tang Marine got its name. If you’re in the Quedgeley, Gloucester area in the UK, stop by and say hello to Ross or give him a call at 08442 483 486.